Reading the Bible can be intimidating. It’s a big book, with lots of contributors, written a long time ago, and with many levels of meaning. With so much to consider the hardest part of reading the Bible may simply be getting started. I remember a season in my life when I wasn’t often reading the Bible. The shame of the situation is that I was in seminary studying to be a pastor! I had been reading the Bible as a textbook in all my classes, but I hadn’t been reading it on my own for personal growth. The longer I went without reading the harder it got to start back up. Then I received some good advice. For the first time in a long time I felt hope that I could indeed start reading the Bible. And I believe the same advice that helped me might help you, too. If you’re struggling to read the Bible don’t worry too much about crafting the perfect plan just do what you can, when you can, how you can. Just start. Here are some practical tips to help you get started reading the Bible today. You may not have a smart phone, but chances are you do. In that case, a good Bible app on your phone exponentially increases the ease of accessing Scripture and thus improves your chances of actually reading it. I use the ESV Bible App and the Bible App (Caution: This app is highly customizable with literally hundreds of tools that may intimidate a newcomer. No worries, just stick to the basics or start with a simpler app). We often feel like we have to read long portions of Scripture in order to “legitimately” count ourselves as Bible-readers. That’s not true. There’s no holy number of words to read as you study God’s teachings. You can read a whole book at a time, a chapter, a paragraph, or even just a sentence or two. When you’re getting started don’t worry about how much you read. Just read. If the Bible is God’s word and God is infinite, then we can expect to struggle with comprehending all that is in His word. This doesn’t mean, however, that we can’t grasp any concepts. Rather, the most important truths of the Bible are the simplest to understand. For example, “You shall have no other gods before me” (Exodus 20:3). Or, “This is the work of God. That you believe in Him (Jesus) whom He has sent” (John 6:29). If you focus on the parts of the Bible you understand the rest will become clearer later. Life is busy. And when you’re talking about adding another habit like reading the Bible, it seems even busier. So it’s natural and even permissible to read the Bible on-the-go, especially when you’re first getting started. You could be standing at the line in Starbucks, scanning a few verses on the train to work, or flipping pages while you scramble some eggs. 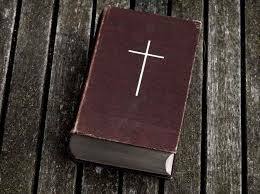 If you can only squeeze Bible reading into the cracks and crevices of life, then please do. It’s better than not reading at all. That said, you’ll get more out of your Bible reading if you set time aside to do it. Again, there’s no magic number. You can just start with five minutes. But try to do it when it’s quiet and when you’re alone. Jesus Himself sets this precedent. “And rising very early in the morning, while it was still dark, he departed and went out to a desolate place, and there he prayed” (Mark 1:35). The biggest de-motivator to reading the Bible is feeling like you can’t stick to a plan. A Bible reading plan has structure that can encourage faithfulness. But we also have the tendency to beat up on ourselves for not reading the Bible daily. You should absolutely strive to read the word every day, but give yourself grace. Life happens. You may not be able to read the Bible every single day. The important part is if you miss a day, you start again the next day. It’s the consistent effort in the midst of struggles that build a habit. It will take time, but if you desire to read the Bible then the most important action you can take is to START…today, if possible. Just grab a Bible or download an app, pick a place (I recommend the gospel of Mark in the New Testament, and Proverbs in the Old Testament) and get started. May God bless your reading of His word! thanks. This was great. I contacted you on twitter before moving to Jackson and now attend Redeemer whenever I can. Thanks, Sabrice! Please introduce yourself one Sunday. I’d love to meet you in person. Appreciate you reading.